Hi everyone. Since me & Brady travel around Colorado, we thought other dogs might be interested in some of the places we've visited. We're just starting out with this section of our web site. So, it's small right now. But, we're going to keep adding to it. 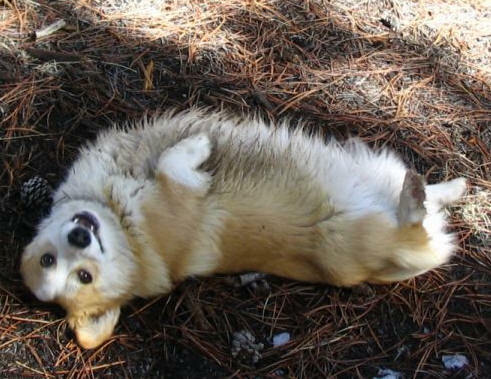 I'm a Pembroke Welsh Corgi. I'm 2 1/2 years old. I've been traveling since I was just a few months old. I really like to go new places, and I especially like tasting new foods! I'm an agility dog. Next to chasing sticks, chasing bunnies, and rolling in snow, agility is my favorite thing! We've stayed at some really fun places, and some places that weren't so great. Solo & I are keeping notes when we travel cause there's no reason to stay in a place that's not so great! You can send me an email cause I have my own address! 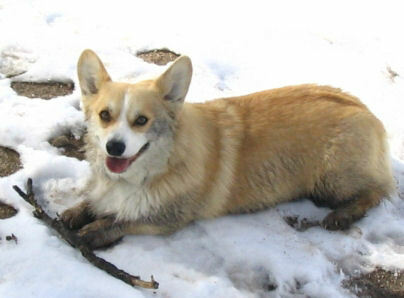 I'm a Pembroke Welsh Corgi too! Brady's my big brother. He's been traveling longer than me. But, I started when I was just a little puppy. I like to go explorin! I'm going to school for agility too. But, I don't do it for real like Brady does. Someday Mama will turn me loose in the ring. Then, maybe I'll play agility, or maybe I'll chase another dog and see if he'll play. BOL! Mama never knows what I'm gonna do. That's what makes life FUN! Brady's not the only one with his own email address! I have one too!